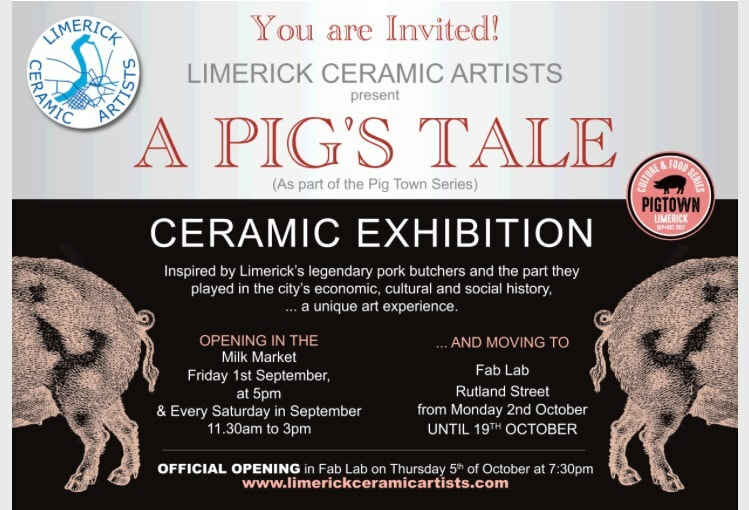 We will return to the Belltable for the months of June and July showcasing new work from Limerick Ceramic Artists. On Friday 21st of June we will be joining the O'Malley Clan in the City Hall for a ceramic response to their gathering. The exhibition will remain open until 28th June. ​Come and join us for a glass of wine and preview our new work this Thursday evening at The Belltable, O Connell St., Limerick. 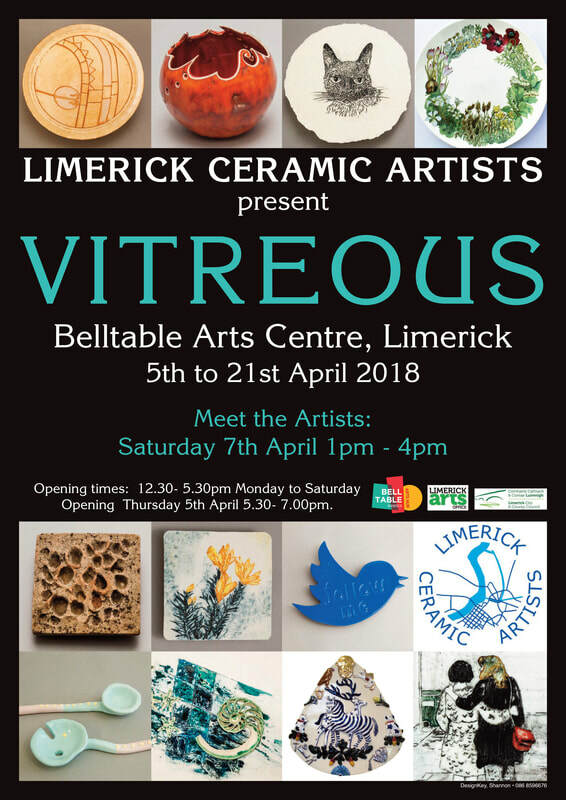 Then come and meet some of the Limerick Ceramic Artists in person on Saturday7th April 2018 between 1 and 4 pm where you can ask them about their work and our group show.